Changing your broadband plan is free and simple. You can do this at anytime and any confirmed plan change will activate on your following bill date. How to change your plan? Login to your My Account. Please click the "Forgot your password?" link if you do not remember your password. Once logged into your Flip My Account, select the "Plans Available" section from the left hand side of the page. From here you will be able to choose from the plans available to you. If you are currently on Naked Broadband (standalone internet) service and require a homeline service to be added to your plan, you will need to sign up for a new account. You can sign up for a new account online or with our Sales team on 0800 60 72 53. Once you have your new account number, please send our team an email at support@flip.co.nz, we will then organize the rest of the changeover and credit your new account for any unused part month charges from your older account. Please note that in signing up for a new Flip account, you will be liable for a connection fee of $25 and one month of your plan charges in advance. You will also lose all carry over data from your existing account during the transition. Currently Flip utilizes our own network to offer customers homeline services, we do aim to provide services across the nation although our variant of homeline service is not available everywhere. We recommend checking our address checker to confirm Flip services availability at your address. 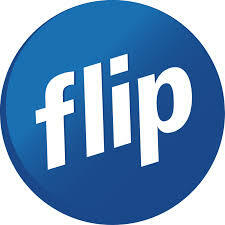 Here at Flip we do not offer homeline only plans as we are primarily an internet service provider. All Flip customers are required to have an internet service in order to obtain a landline. If you require a homeline only plan, we recommend consulting other service providers.